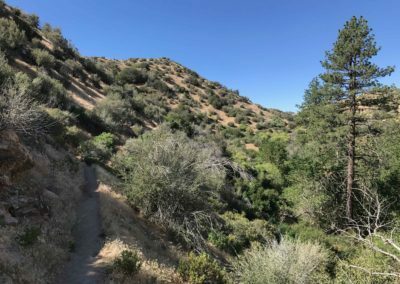 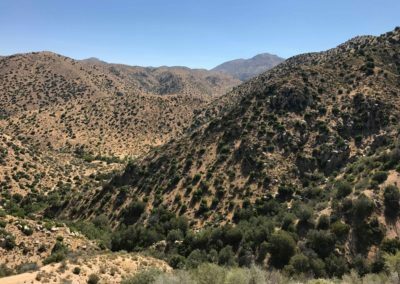 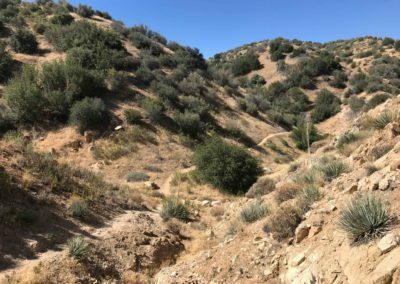 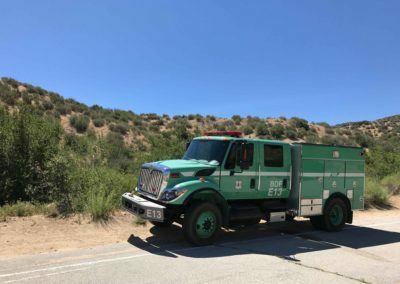 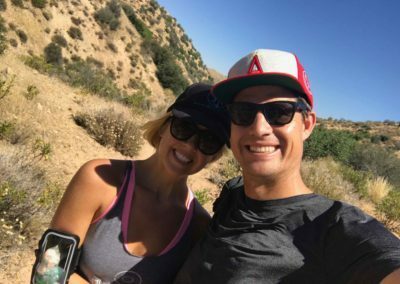 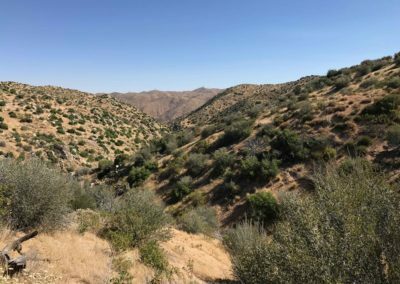 Lake Arrowhead Area Hiking Trail: If you’re searching for adventure, the Desert Hot Springs trail is for you! 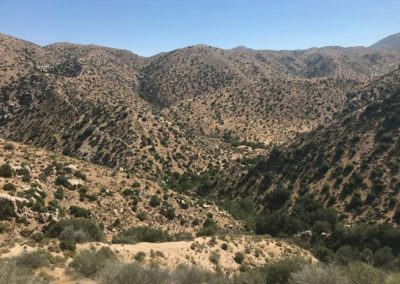 These outdoor natural hot springs are located in a section of the Mojave Desert within the San Bernardino National Forest. 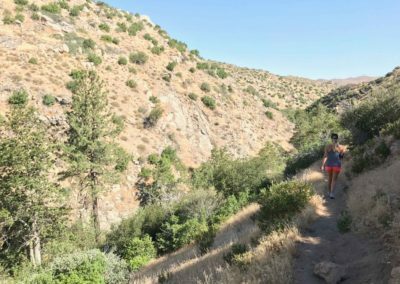 The hot springs are accessible from a hiking trails from Lake Arrowhead as well as Apple Valley & Hesperia. 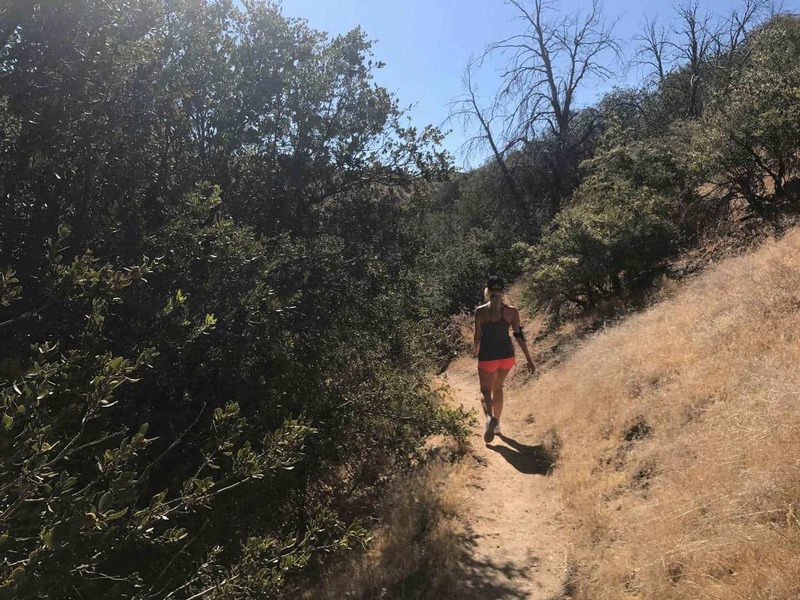 If you plan on hiking from Lake Arrowhead, use extreme caution as the last mile to the hot springs is very steep, sandy and requires excellent traversing skills. There are a couple of natural hot springs at Deep Creek. 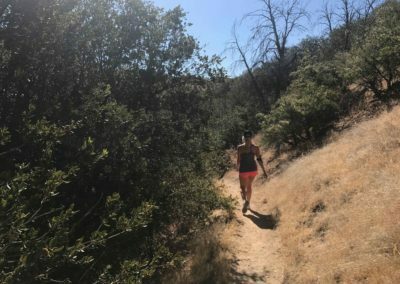 Don’t be alarmed if you see any scantily clothed people as clothing is optional at the springs. 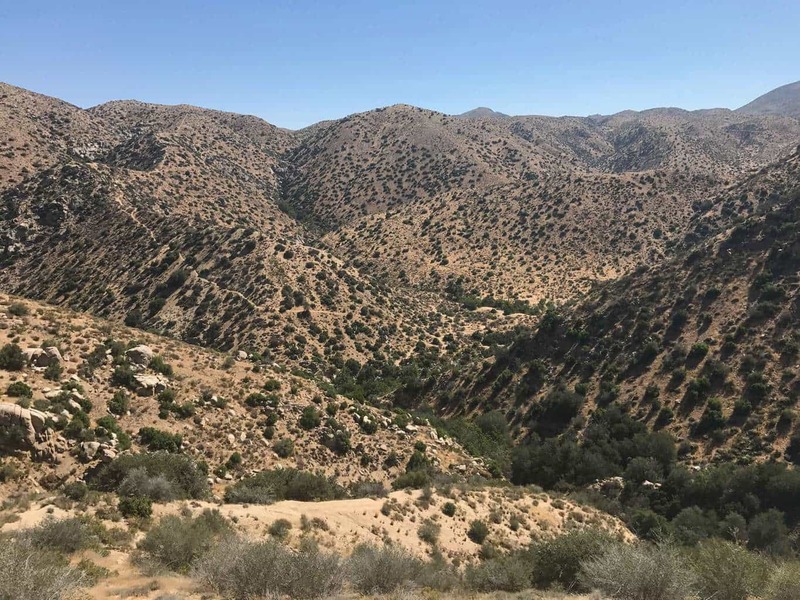 It’s highly recommended to bring plenty of water, snack and sun protection as it’s very hot in this area and there are no support stations along the way. 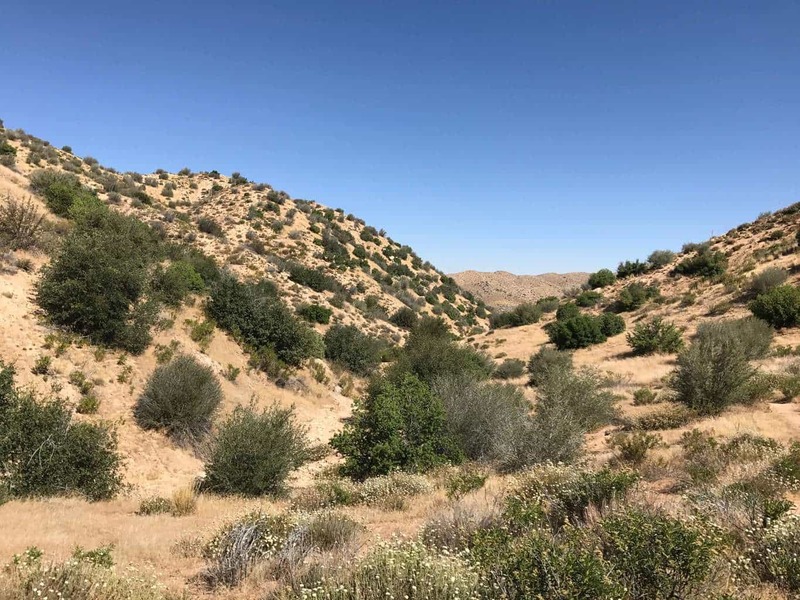 During various parts of the day temperatures can easily exceed 100 degrees during spring, fall and summer months. 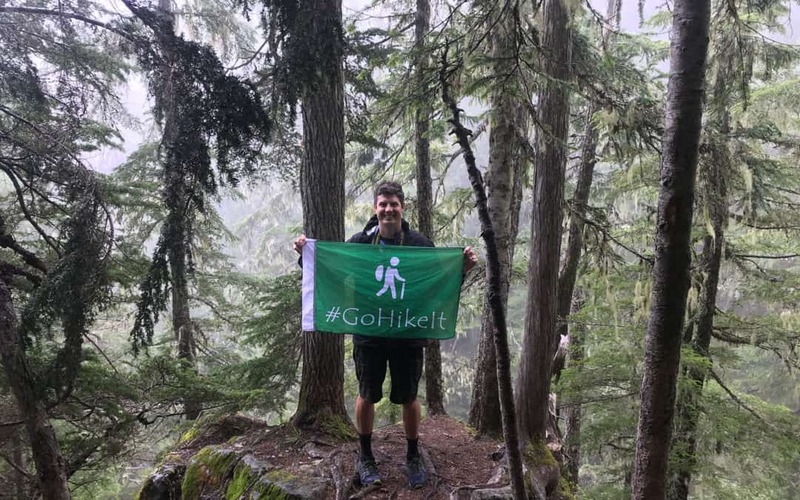 Additionally, the #GoHikeIt team recommends bringing a first aid kit & rattlesnake kit. 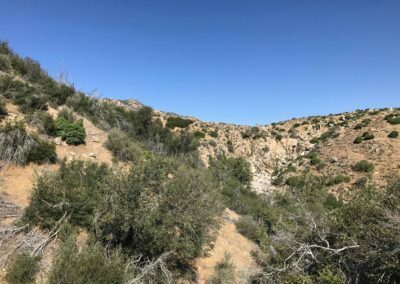 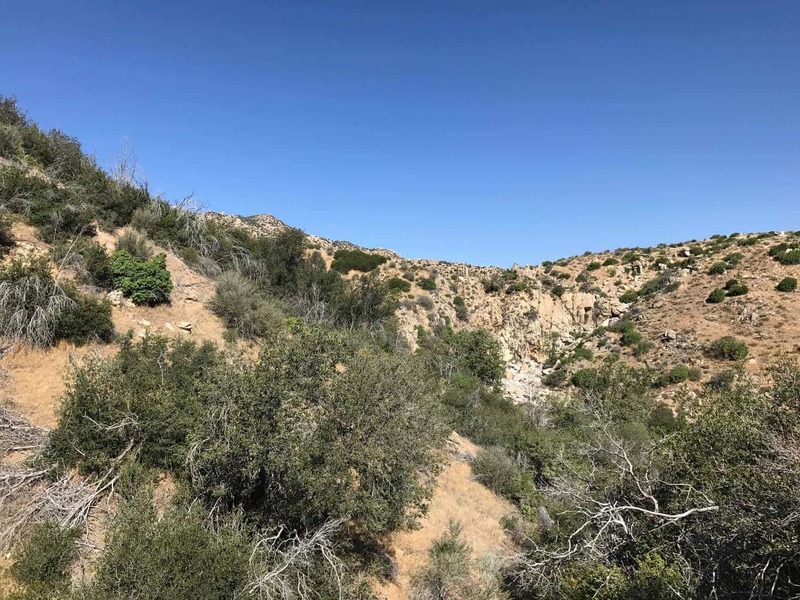 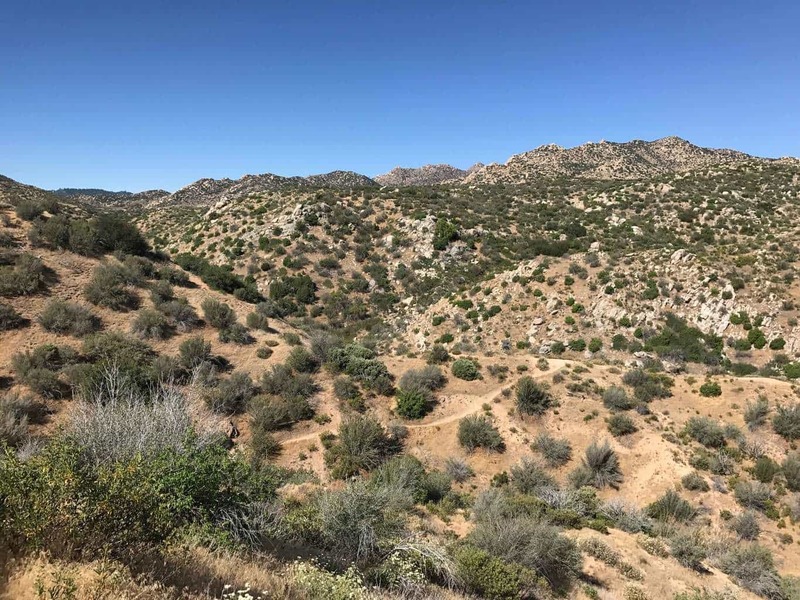 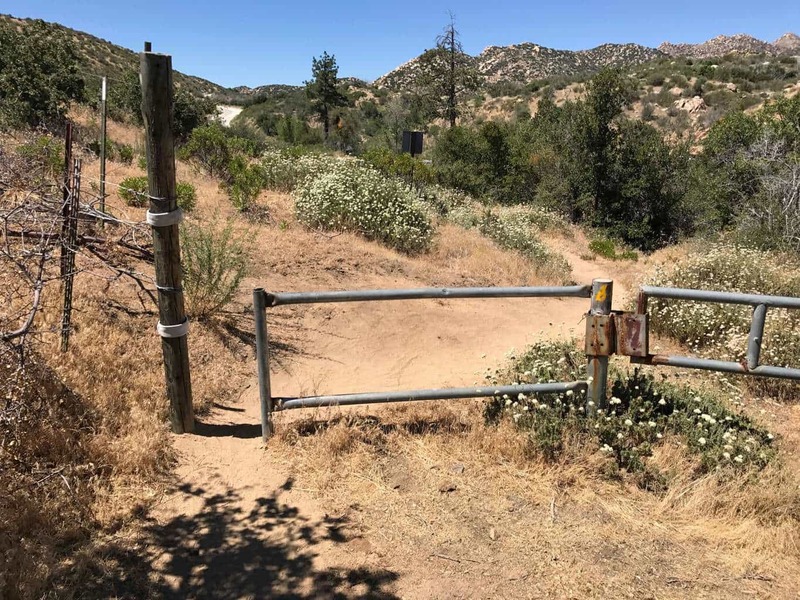 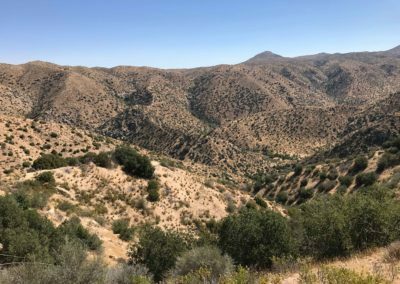 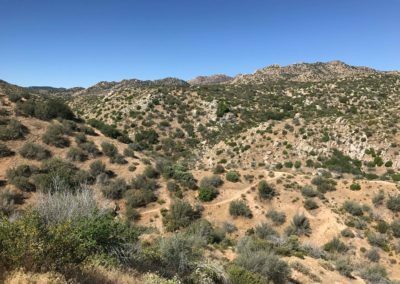 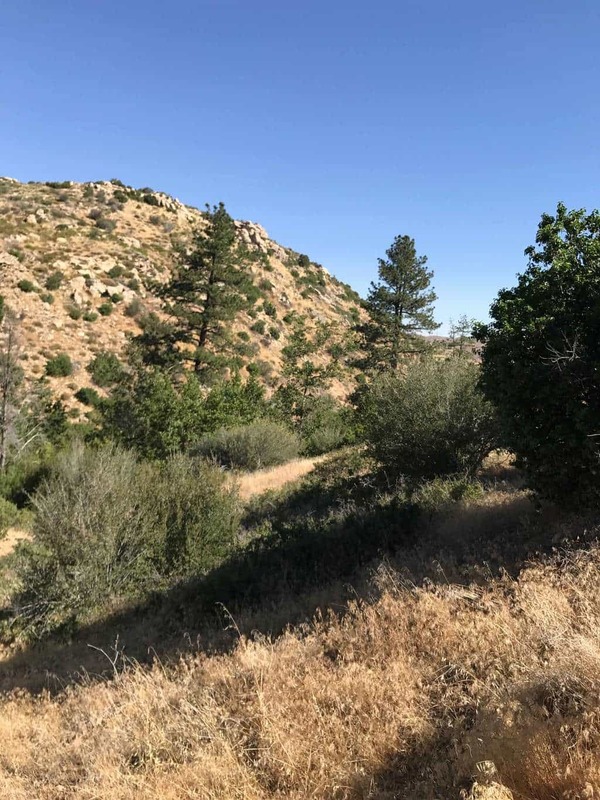 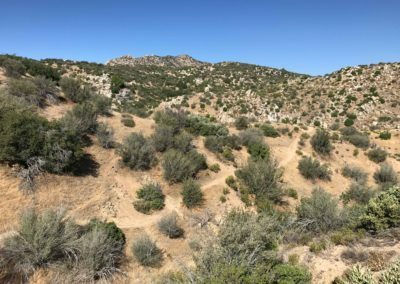 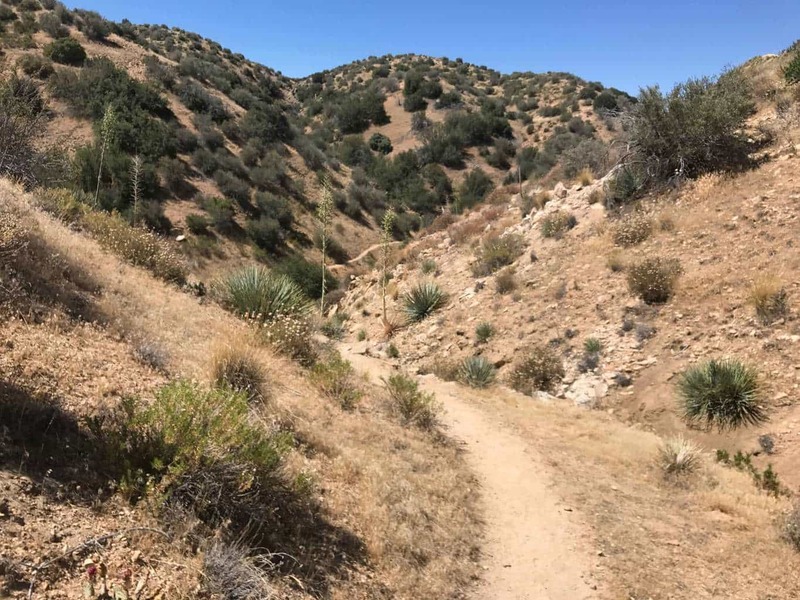 From Lake Arrowhead, the single-track hiking trail is very scenic and traverses back and forth along the surrounding hills towards Hesperia. 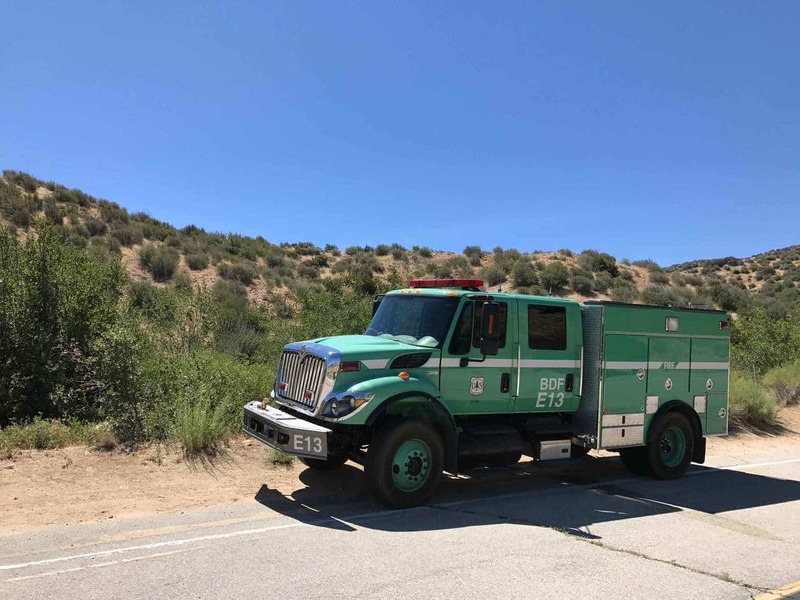 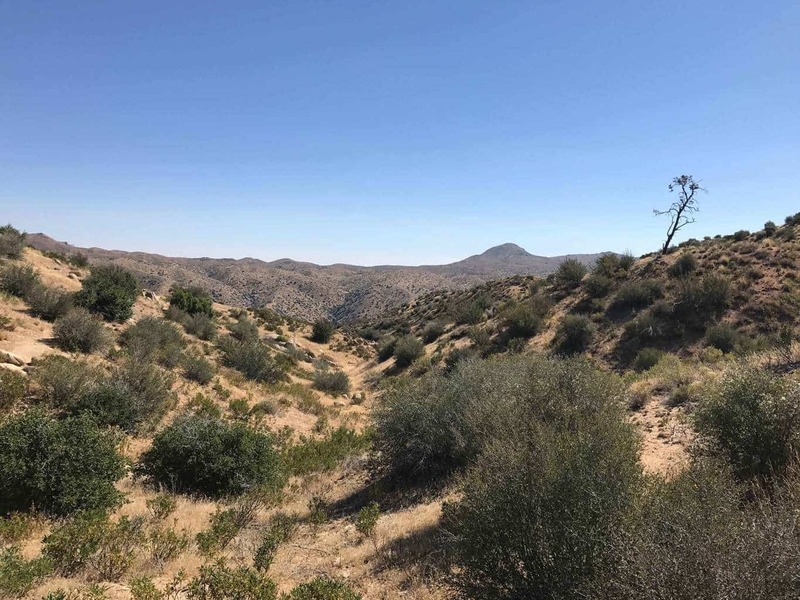 At the start of the hike, hikers can see views of Pinnacles hiking trail and possibly local reptiles, including lizards and the Southwestern Arroyo Toad, an endangered reptile. 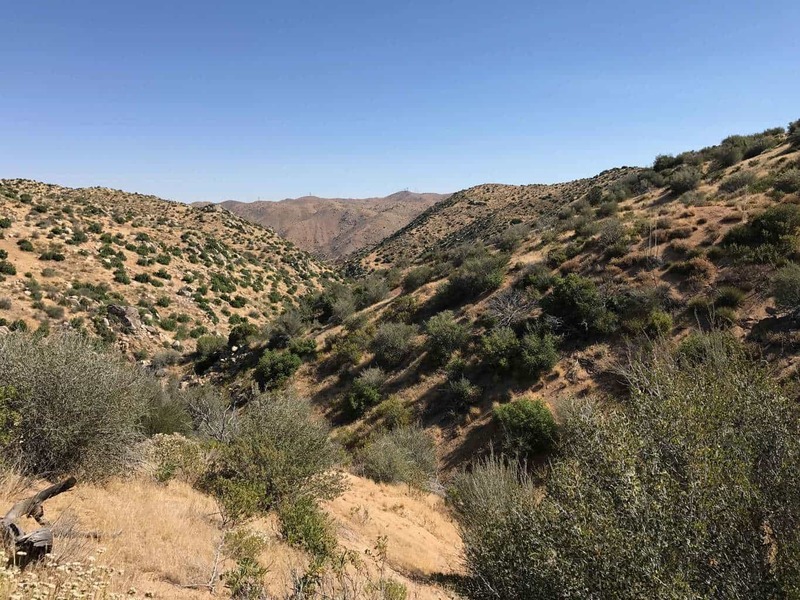 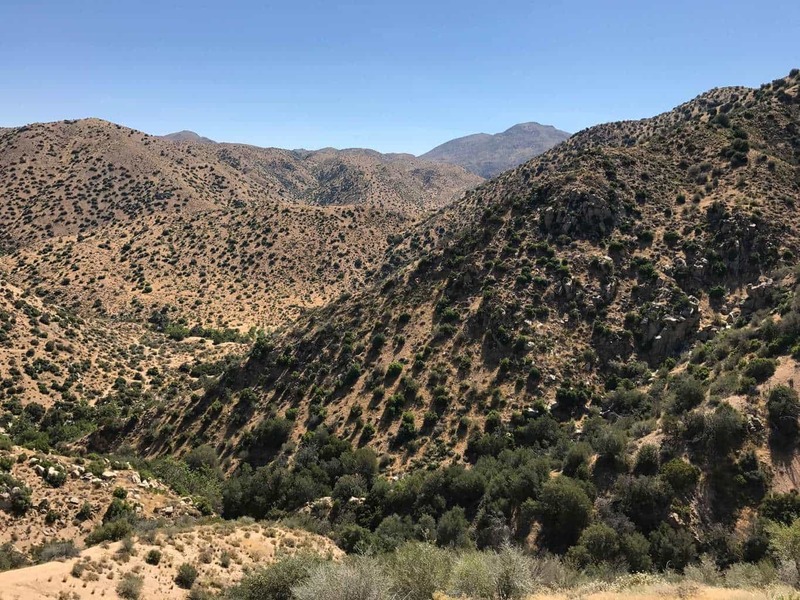 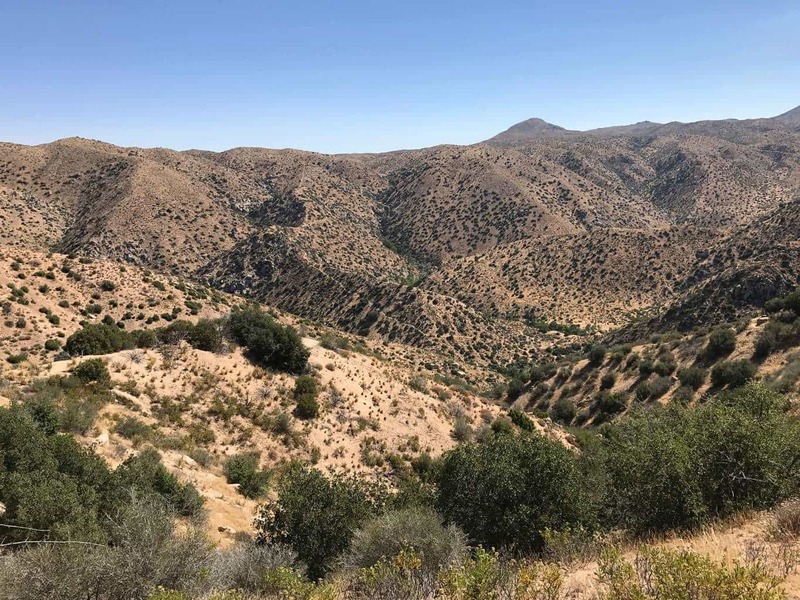 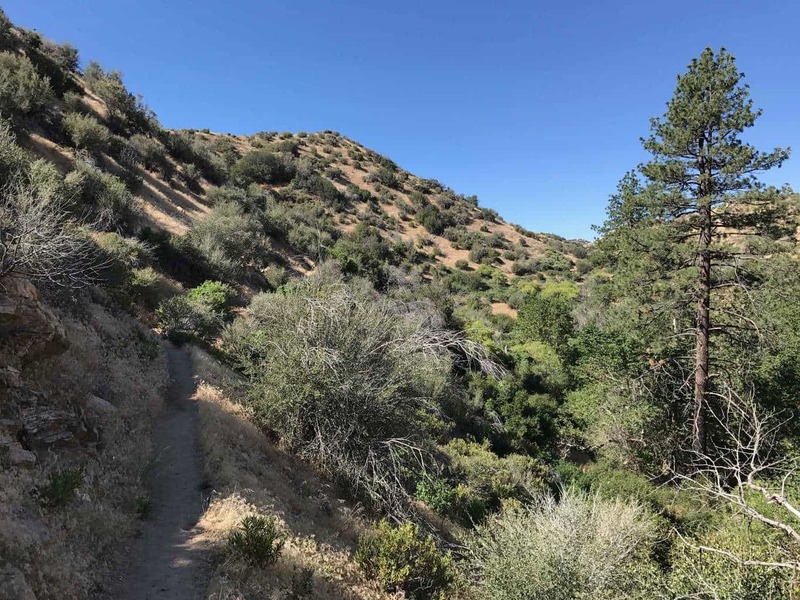 Throughout the trail, hikers can enjoy scenic views of the desert landscape as the Bradford Ridge Path connects to the Pacific Crest Trail down to the hot springs. 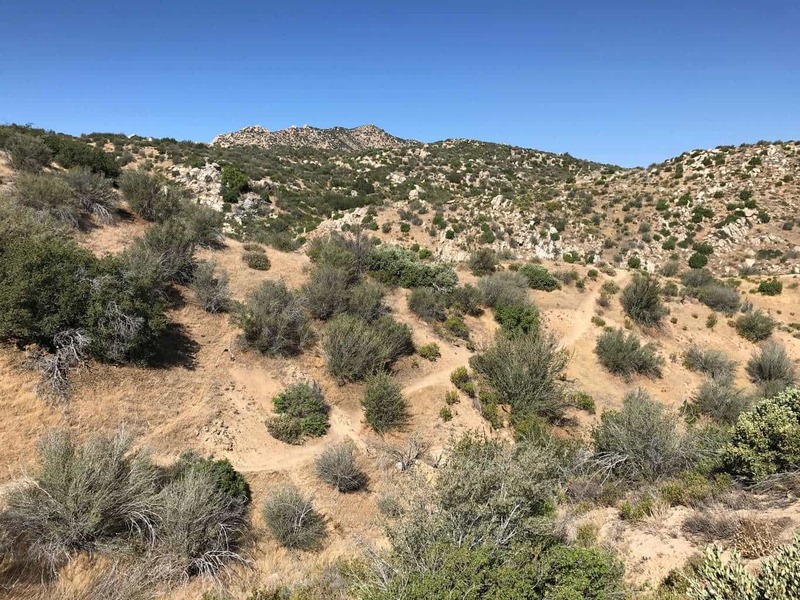 Deep Creek is home to the Southwestern Arroyo Toad, an endangered species. 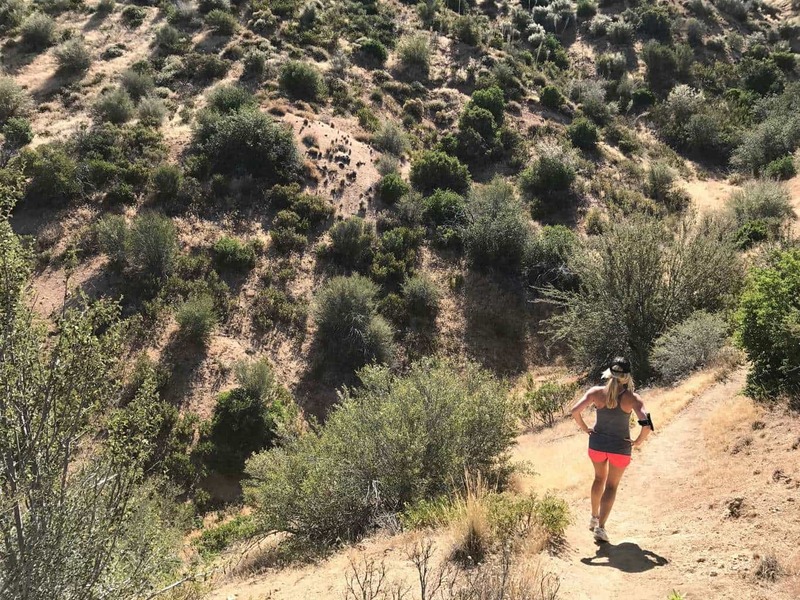 Spring/Fall: Avoid the summer as it can be extremely hot and it may be too cold/icy during the winter months. 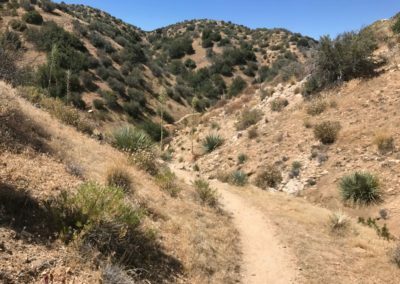 If you plan on going during the Spring or Fall, check the weather ahead of time and plan accordingly. 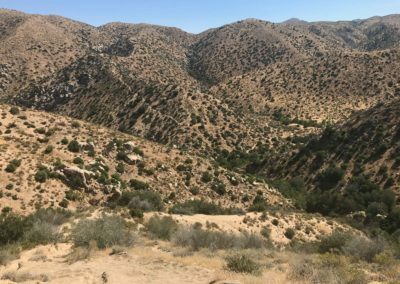 The team recommends leaving early in the AM to avoid the rising desert temperatures. 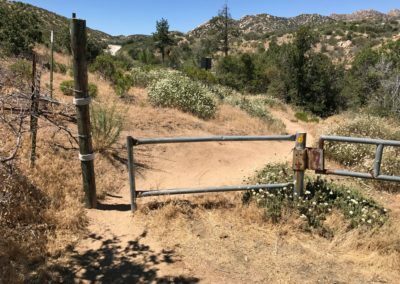 Yes, dogs on leashes are permitted on the Deep Creek Hiking Trail. 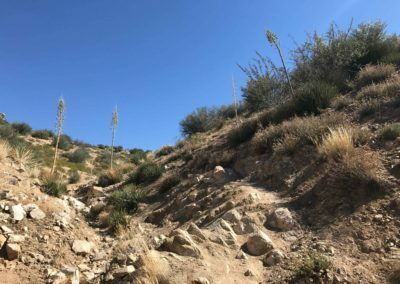 Although, dogs may not be permitted in the actual hot springs. 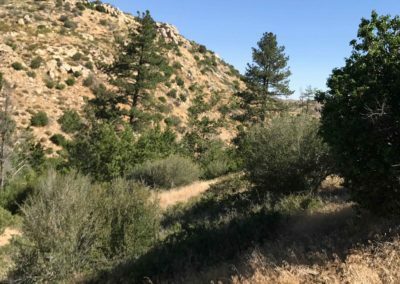 A National Forest Adventure Pass is required for parking. 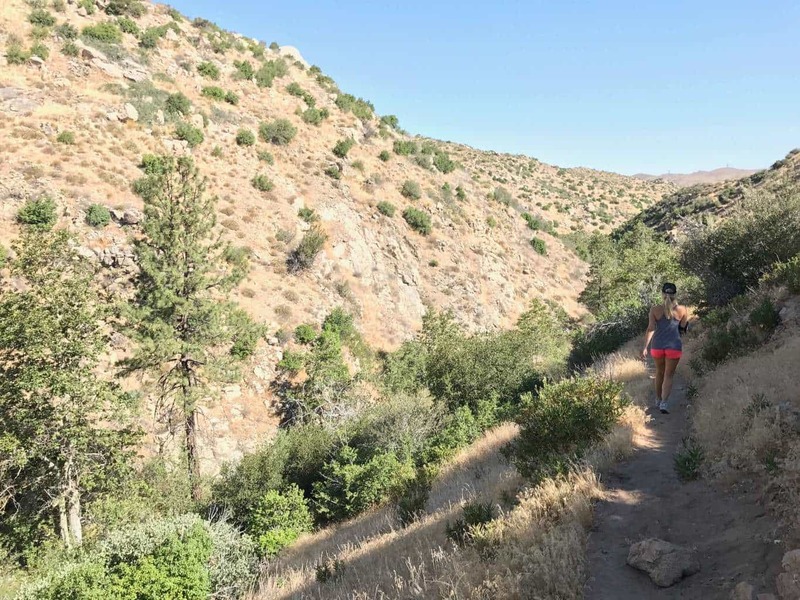 Although the Deep Creek Hiking adventure is a scenic and unique hiking adventure, use cation if you plan on exploring the Deep Creek Hot Springs. 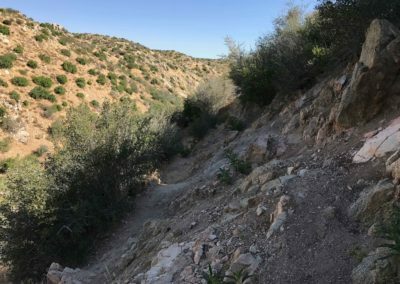 The hiking trail down to the creek is very steep and requires excellent footwork and maneuvering. 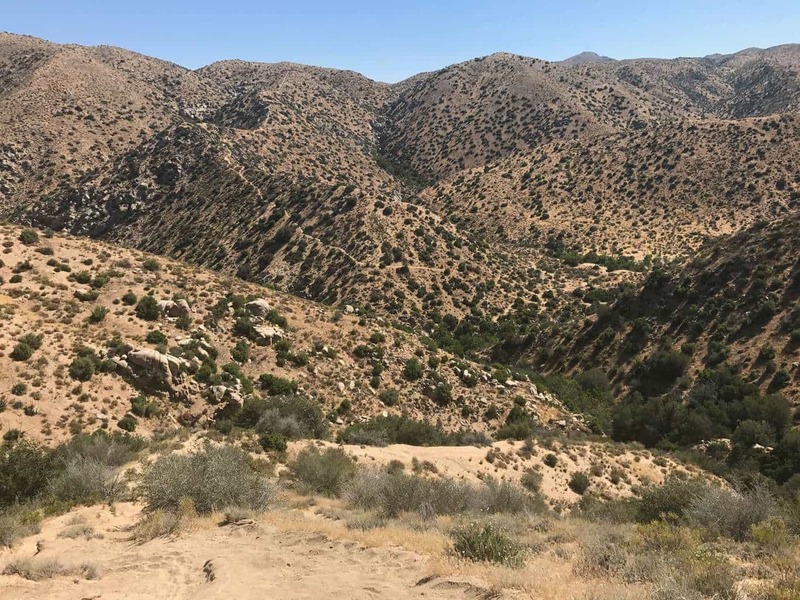 Additionally, hikers in the desert can face various obstacles, including rising temperatures and reptiles, including snacks. 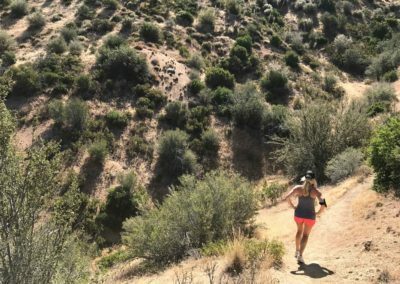 Therefore, it’s recommended to adequately prepare and bring plenty of water, trail snacks, sun protection and first aid kits. From a hiking perspective, we enjoyed the scenic views during our adventure at Deep Creek. 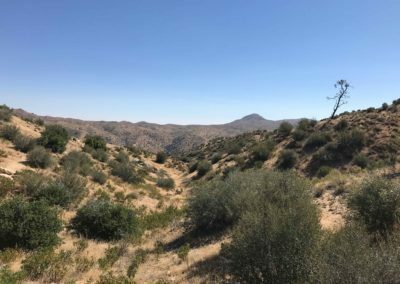 The desert landscape seems to extend forever along the horizon. 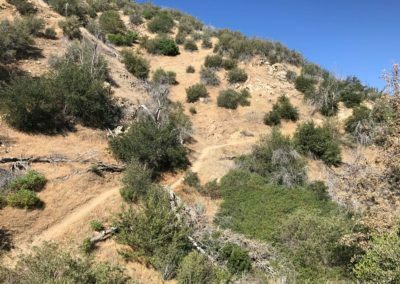 It was fun to explore a more remote trail that is less trafficked, yet still accessible from the Lake Arrowhead area. 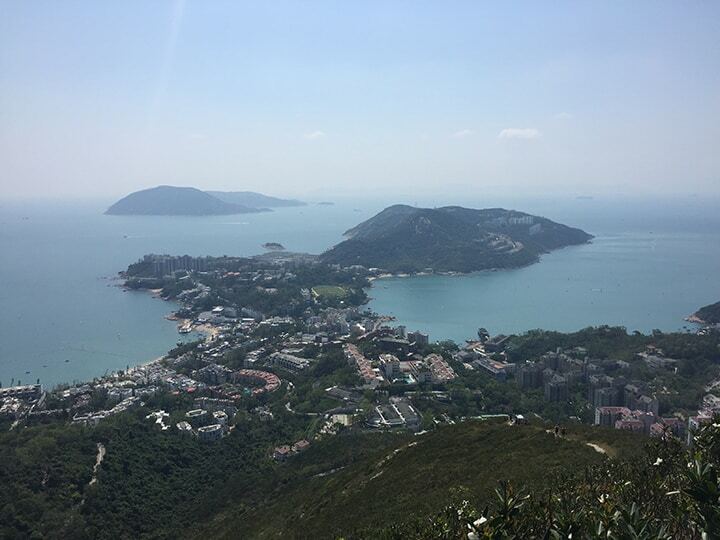 Discover the Twins and Violent Hill dog-friendly Hiking Trail in Hong Kong near the Wong Nai Chung Reservoir. 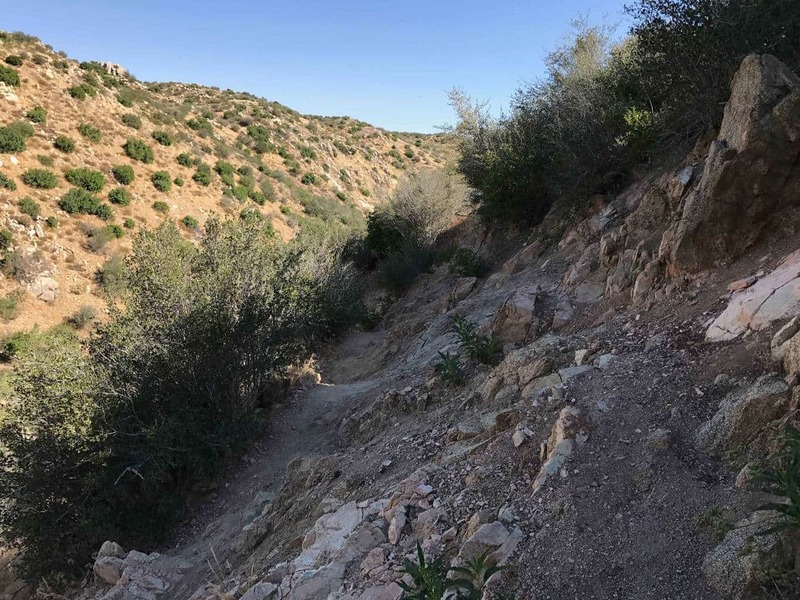 See trail map, directions, photos and more! 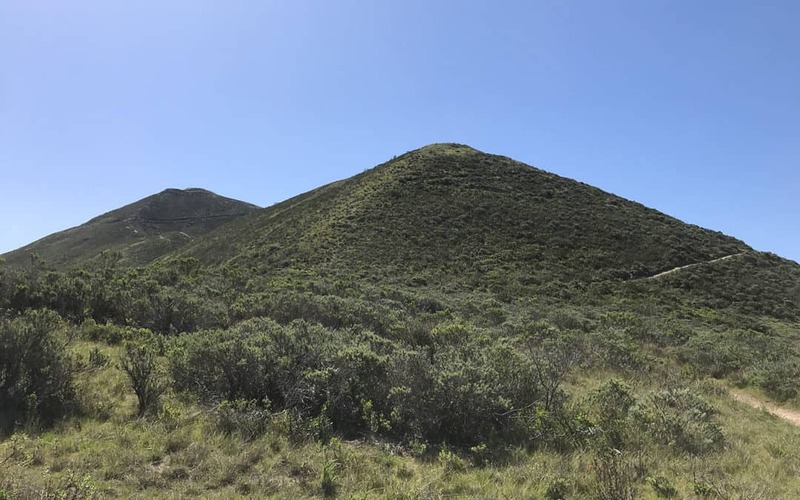 Discover Montaña de Oro State Park and see the Valencia Peak Hiking Trail, the best hiking trail in Los Osos and Morro Bay. 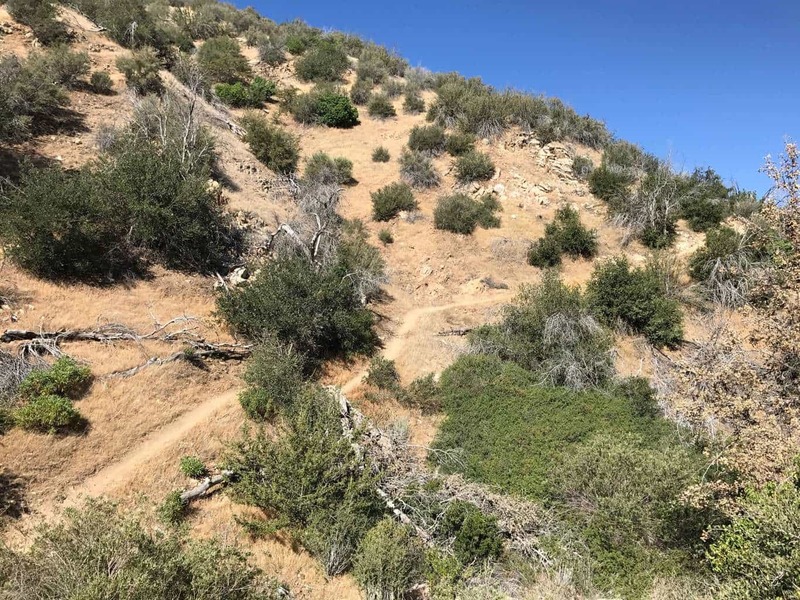 See hiking trail photos, maps, guides and reviews.